It can feel impossible and overwhelming to try to keep up with all the new trends in skin care. Maybe not all those products are worth your while, but some of them are. Essence is one of those products you might have heard of and wondered about, but never bothered to take a deeper look into. But it’s worth your time. In fact, Korean women absolutely swear by it, and we all know that for years now Korean beauty has been at the forefront of whatever it takes to get gorgeous, radiant skin. Let’s delve into exactly what essence is, and how you can incorporate it into your skincare routine. An essence is a hydrating and soothing substance with a liquidy texture, although it’s a lot more substantial than water or toner. Traditionally, essences are more lightweight and have fewer concentrated ingredients than your typical serum. Like serums, essences are applied after you cleanse your face and apply toner (but go on before serums). They are meant to deliver highly hydrating ingredients, such as hyaluronic acid and natural plant extracts, to deeply nourish and moisturize skin. Essences will help the serums and moisturizer you use afterwards to absorb into the skin better. Furthermore, some essences help to balance pH. This is important because a lot of times some harsher soap-based cleansers can strip your skin of its natural oils. Even though we often want to reduce these oils, stripping too much of them can be detrimental to skin and cause even more oil to be produced. A true essence should not be confused with a serum. Essences tend to be far more watery, and thus cannot hold the same concentration of active ingredients as serums can. However, don’t fault yourself if you do confuse them — as both essences and serums evolve, they are becoming more and more like each other. In some cases, essences are getting thicker and more heavyweight while serums are doing the opposite and becoming lighter and more watery. Still, as mentioned, a true essence will be distinguishable by its more watery consistency. It might even feel like a highly diluted moisturizer that is nonetheless loaded with nourishing and anti-aging ingredients that help plump up skin, neutralize free radicals and provide quenching hydration, among other benefits. Cleansers, toners and moisturizers, though very important, simply do not provide the same concentration of active ingredients necessary to truly protect against environmental damage and moisture loss that contribute to aging, dryness and rough texture. Essences, on the other hand, boast a high concentration of active ingredients that can help skin become more resilient, stronger and more able to withstand external pressures that degrade its integrity. Essentially, using an essence will help you build a strong skin barrier that will be less likely to become compromised. The skin barrier is composed of skin cells and lipids that protect the skin from external factors, like harmful bacteria, environmental pollutants and other microorganisms. If the skin barrier becomes compromised, you may experience dryness, flakiness, general irritation and sensitivity. 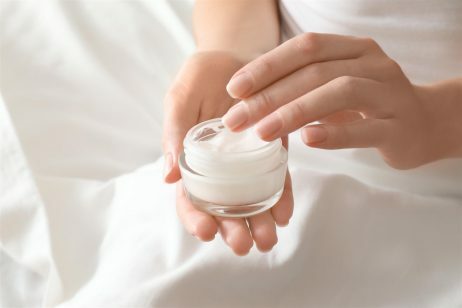 Keeping your skin well hydrated with essences and other products can help you keep the skin barrier strong and healthy. Moreover, after 40, the natural lipids that comprise part of the skin barrier begin to diminish in number – a factor that contributes to dryness as we age. Using an essence as part of your skincare routine can help protect against this. As previously mentioned, essences also help other skincare products (oils, serums, ampoules, etc.) – ones that target specific skin problems – absorb more easily and effectively into the skin. Facial essences exist to address a variety of skin woes, including hydration, brightening and firming. Depending on your needs, an essence can help restore radiance and glow, moisturize to reduce dryness and help fight off signs of aging. Essences work by giving your skin a quick and much-needed burst of anti-aging and brightening ingredients like glycerin, hyaluronic acid and vitamins. The water-like consistency of an essence also makes it easier to absorb into the skin, making sure you get all those great benefits as quickly as possible. For best results, apply an essence with dry, clean hands after you’ve cleansed and toned. Gently pat all over your skin with your fingertips. Follow up with your serum and moisturizer as usual. An alternate application method involves rubbing the essence between your palms and gently pressing your hands against your face. This much-loved essence relies on powerful Japanese superfoods (green tea, rice and algae) to provide anti-aging benefits, potent hydration and a beautiful plumping effect. These superfoods are fermented to create lactic acid, which helps exfoliate to boost cell turnover, revealing a radiant glow while reducing dullness and rough texture. A cult classic, SK-II’s essence boasts the potent and famous ingredient Pitera, which is derived from yeast fermentation. More than 50 micronutrients are found in Pitera, allowing for a truly nourishing treatment that helps fight signs of aging and overall dullness. This essence is thoroughly hydrating without being too greasy, and can be used by those who have more oily skin. This formula even helps exfoliate to unclog pores and thus help prevent acne and congestion. If you happen to suffer from discoloration, hyperpigmentation, dark spots and uneven skin tone, Fresh’s essence is right up your alley. Loaded with melanin-inhibiting ingredients like vitamin C and peony and licorice root extract, this essence will help diminish dark spots caused by acne scarring or sun exposure. Regular use will give you an overall more radiant and even-toned complexion. This essence also contains hyaluronic acid to give skin a plumping effect. A K-beauty essence that is definitely a bit of a splurge, this essence promises to protect skin from pollution, UV rays and free radicals. Its secret lies in the green tea leaves gathered from the foothills of a mountain on Jeju Island in South Korea. The active, protective ingredients in these leaves are what help nourish, hydrate and rejuvenate skin, making it feel softer and look brighter and plumper. Another K-beauty essence, this formula boasts 60 percent artichoke extract, which goes to work to firm and tighten pores, making them look smaller. Ceramide and squalene are also included in this formulation to help lock in hydration. This is also a more affordable option. 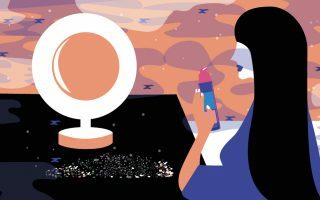 Some in the beauty industry believe the lines between essences and serums are getting more and more blurred. That’s because, as previously mentioned, some essences are becoming thicker in texture and loaded with more concentrated ingredients. Meanwhile, some serums are becoming more lightweight. This can lead to some confusion, but if you’re incorporating both into your skincare routine, then you’re all set. Serums also eschew many of the heavier ingredients (the ones that give a cream its thicker texture) found in common moisturizers. Thus, they are able to boast more concentrated active ingredients. These ingredients penetrate to target problem areas and typical skin concerns like blemishes, wrinkles, fine lines and discoloration. You can also look for ingredients that hydrate like ceramides, hyaluronic acid and essential fatty acids, or ingredients that prevent inflammation like aloe vera and zinc, or ingredients that neutralize free radicals like vitamin C and grape seed extract. It all depends on what your skin needs. If you are concerned about aging, hydrating ingredients and antioxidants are your best bet. They will help fight off the free radicals that degrade collagen and elastin while also providing moisture to keep skin soft and plump, helping wrinkles appear less noticeable. On another note, if you suffer from eczema or rosacea, serums might actually aggravate your condition. This is due to the higher concentration of ingredients in serums that have the potential to irritate. Furthermore, if your skin is on the drier side, serums won’t provide enough hydration, and you’re better off relying on heavier moisturizers. Still, if you do have dry skin and want to use serums regardless, you can follow it up with moisturizer. Just remember to use serums sparingly – a little will go a pretty long way. Also remember that there’s no harm in using both an essence and serum in your daily beauty routine.